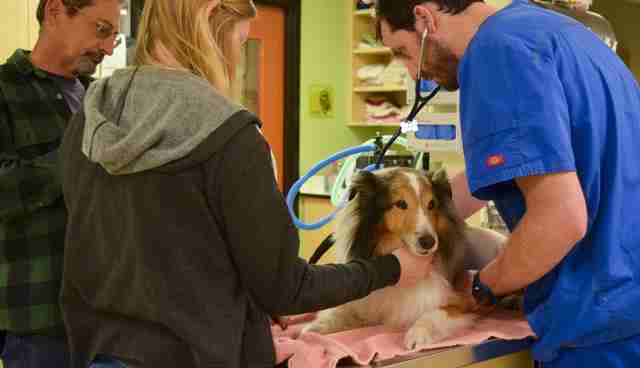 Ollie, a 10-year-old Shetland sheepdog (aka Sheltie) from Oregon, has always been a very healthy dog. He loves to run around and play outdoors, and especially loves when his family takes him on camping trips. After returning from a recent trip, Ollie began acting a little lethargic. His parents, Al and Joelle Meteney, immediately took him to his local vet, who did multiple tests - all of which revealed nothing. Soon, Ollie was completely paralyzed, unable to eat or even go to the bathroom by himself, and still no one knew why. Ollie's parents had too much love for him to watch him suffer that way, and so when he wasn't getting better, they made the heartbreaking decision to have him put down. The couple made an appointment with DoveLewis Emergency Animal Hospital to have Ollie put to sleep. As Dr. Adam Stone and intern Neena Golden were preparing Ollie for the procedure, Golden began scratching him behind his ears to comfort him. Suddenly, she felt a tiny lump. It turned out to be a tick. Dr. Stone remembered learning about a condition called tick paralysis, where the tick's saliva gets into the dog's system over a prolonged period of time and causes neurological issues. The condition is rarely seen, and he could only find one veterinarian at the practice who'd ever encountered it before, according to a blog post on the hospital's website. 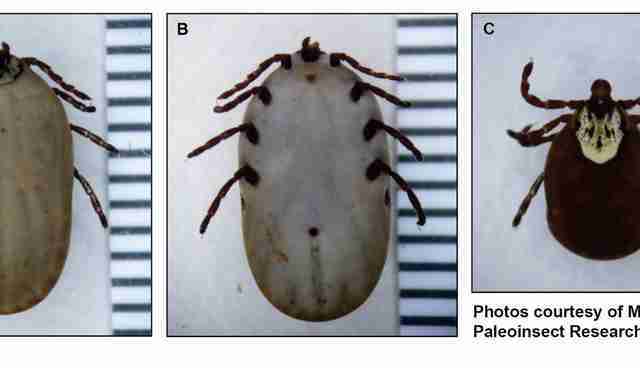 Tick paralysis is an extremely rare condition but seemed to fit Ollie's symptoms. Removing the tick cures the condition completely, and so Dr. Stone told Ollie's parents to wait three days to see if Ollie's condition improved. 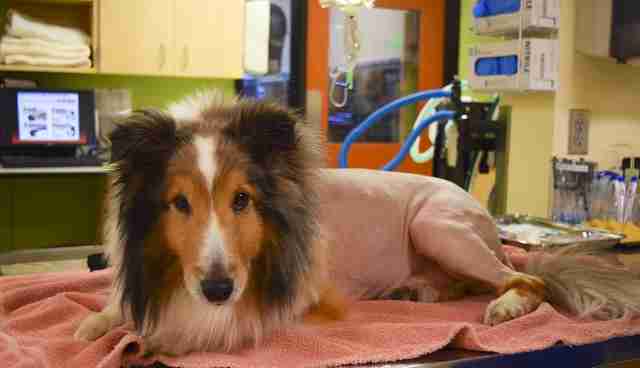 "After doctors removed the offending tick, they gave Ollie a complete body shave to make sure he didn't have any other ticks hidden in his fur," Alaina Buller, communications specialist at the DoveLewis Emergency Animal Hospital, told The Dodo. The diagnosis seemed like a long shot - and yet turned out to be 100 percent correct. Even though the vets suspected his recovery would take a few days, within 10 hours Ollie was up and roaming around his house, almost completely back to his old self. His parents were thrilled, and took Ollie back to Dr. Stone the next day to show off his progress. Ollie spends a lot of time outdoors and is therefore susceptible to ticks, but his parents did take precautions to protect him. "Ollie was, in fact, wearing a tick collar when he went camping a few weeks prior to his paralysis," Buller said. "But the tick still managed to find its way into Ollie's fur!" From now on, Ollie parents will take multiple measures to protect him from ticks. Thanks to the quick thinking of the vets at DoveLewis, Ollie is completely healed now, and has many more camping trips and adventures ahead of him.